Hey there, I am always on the look out for cool new art supplies. I saw R&F Pigment Sticks at Creative World in Germany and I gotta get some of these bad boys. Creative World in Germany was part of a bigger show called Paper World. 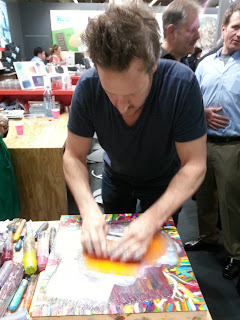 It's a great show for me, there's a very big emphasis on fine art supplies at the show. I spotted something I'd never used before, R&F Pigment Sticks...and I fell in love. 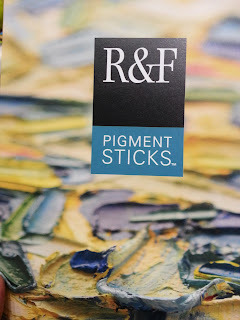 Basically, R&F Pigment Sticks are like oil painting in a stick. 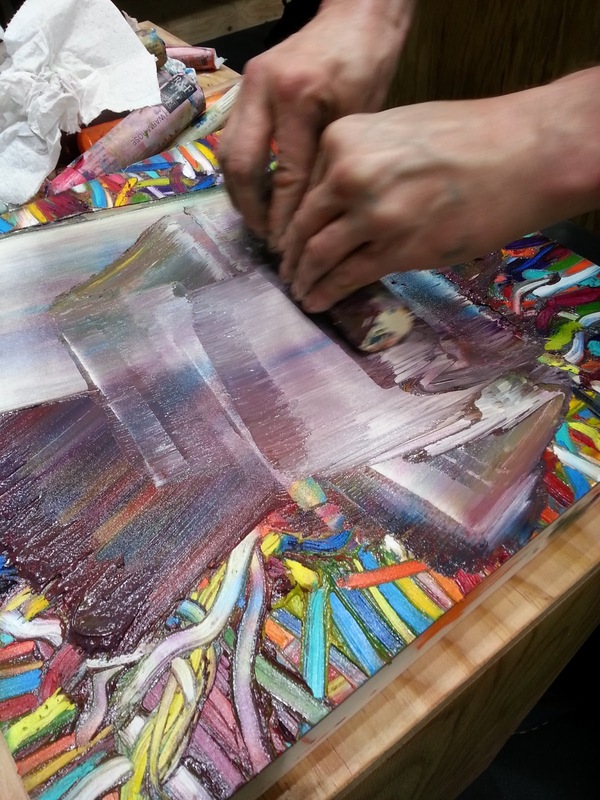 The sticks are made of oil paint, and just enough wax to hold them together...so, it's like a BIG crayon that you paint with. 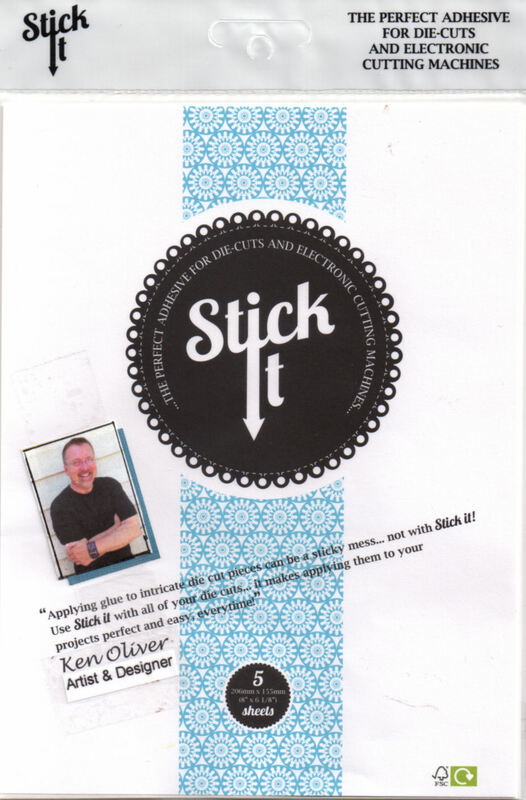 You can use the sticks for lots of techiques...you can use them like crayons, you can use them with a knife for thick heavy applications, you can thin with linseed oil to make the pigment more like oil paints, you can even use a heat tool for blending. Very cool stuff! Like painting with oils, you can build up heavy layers of pigment for very textured effects. 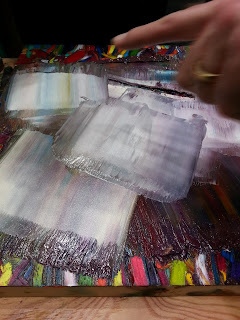 And the drying time is a little less that with traditional oil paints. 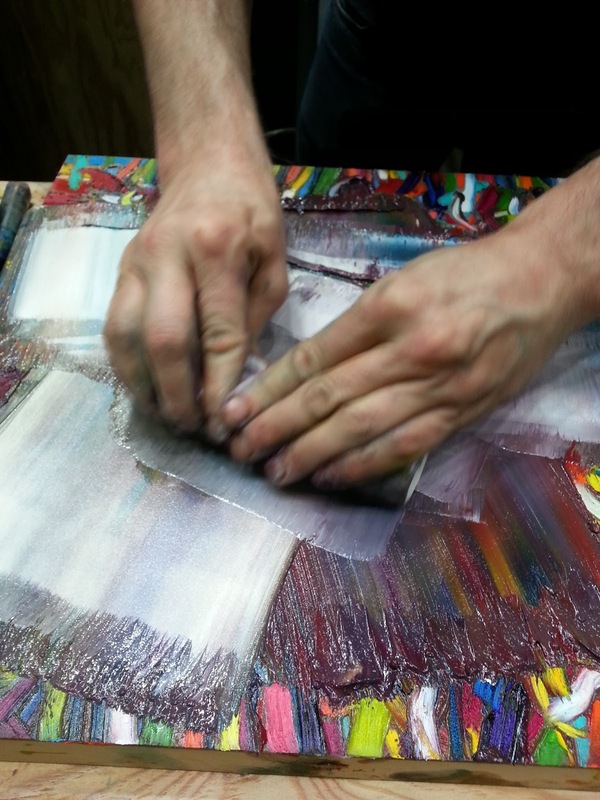 And you can overlay layers of color for some cool effects. I can't wait to get my hands on a set of these...I see lots of applications for using pigment sticks in my projects...I love taking fine art supplies and applying them in new and different ways to craft projects. Thanks for stopping by today. I hope you'll be inspired to try something new and different as you continue along in your artistic journey.